Montblanc has launched Legend Night, a new flanker to 2011's Montblanc Legend for Men. 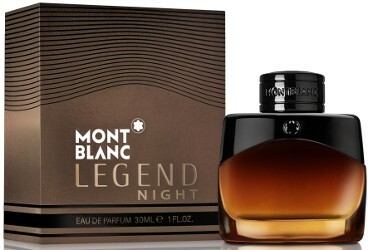 Montblanc Legend Night is available in 30, 50 and 100 ml Eau de Parfum. “Legend Night” was the name of my High School Senior Prom…..I hope this smells better than my prom. Ha, I think that means you have to buy a bottle and find out! Reminds me of Dior’s Fahrenheit bottle, albeit he’s shorter fatter brother! Will try to give this a go if I ever see it. I wasn’t over excited about the original though.